Started 20 days ago, Serena, the machine which excavates the exploratory tunnel started moving towards Brennero. In the night between May 24th and May 25th, the TBM named Serena completed the first 100 m of its drive towards the Brenner, over 14 km long. 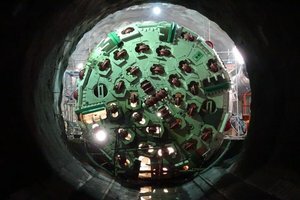 The Tunnel Boring Machine or TBM has a diameter of 6.8 metres and is almost 300 metres long; it weighs 1,200 tons. At 2,800 kW, it is an actual underground factory. Not only will it excavate the tunnel with its driving head, with its many cutting elements (steel disks), but it will also line it with prefab concrete tubbing rings produced in the Val di Riga site near the portal of the exploratory site itself. The start-up of the TBM marks the start of a new phase in the Mules 2-3 construction lot, the largest of the BBT SE project. Starting in Winter of 2016/2017, over 5 km of tunnels have been excavated, out of a total of 65 to be built. Thanks to the TBM, excavation speed will increase considerably as compared to excavations carried out by drilling and blasting. 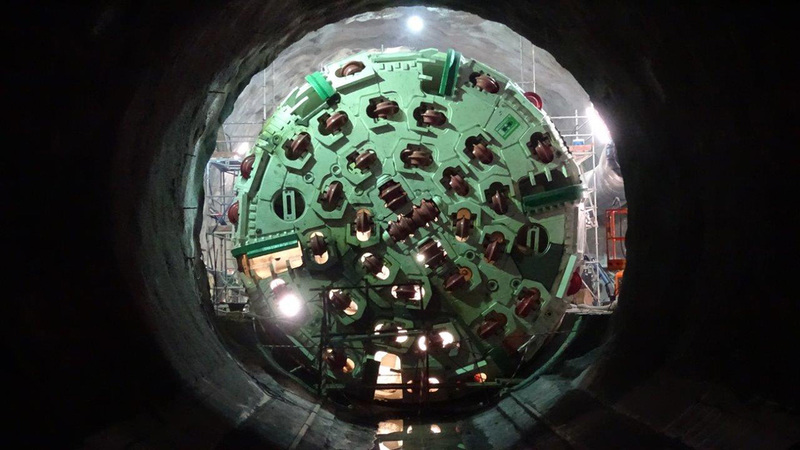 Besides this TBM, two more larger ones have already arrived in Mules; they will excavate the main tunnels from Mules up to the Italian border with Austria.